What should I buy for a vegetarian diet? Keeping smart vegetarian pantry essentials on hand makes it easy even for beginners to come up with dishes on the fly and add flavors that are as bold and delicious as you are. 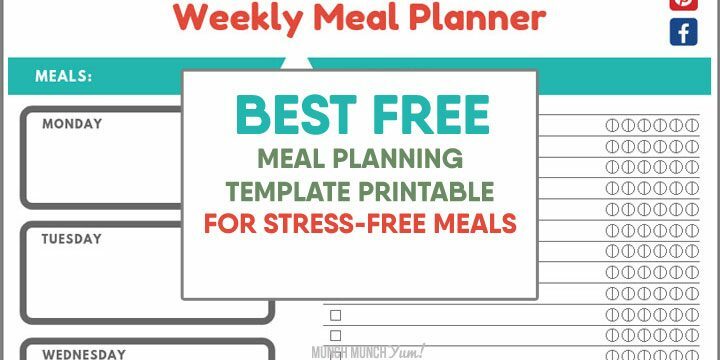 Read on for the must-have vegetarian staple ingredients, then use our free printable vegetarian grocery list to make grocery shopping on a budget a breeze. 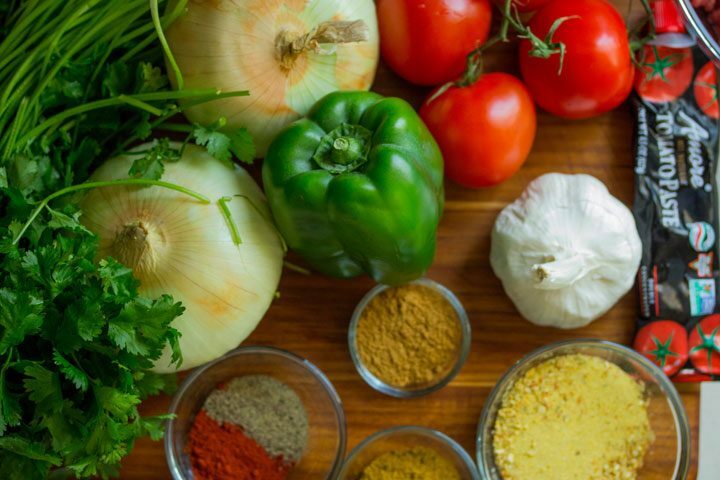 One of the most asked questions we get from those transitioning to a meatless diet is “What should every vegetarian have in their kitchen?” So, we wrote this whole post dedicated to answering that question! Legumes are an awesome protein substitute for tons of reasons. First, they’re not just high in both protein; they’ve got lots of dietary fiber to boot. Bonus! Secondly, beans are extremely versatile and can be used in so many different ways, like our popular Tex-Mex Bean recipe. On top of all that, they are dirt cheap, making them easy on your heart AND wallet! Pro tip: Dried beans are the cheapest but require a lot more soaking and prep time so if you want something more convenient, canned beans are perfectly ok.
Our suggestion is to embrace and enjoy, but use sparingly. While they are fun and delicious, there are other more natural and thus healthier foods that you should be eating and highlighting in your diet. Most people think of tofu as merely something to be used in Asian stir fry, but this ingredient can actually be used in a TON of different ways. Tofu comes in a wide variety of textures and can be manipulated to resemble scrambled eggs, ground beef crumbles, even cheesecake or mousse! Always be sure to double check what type of tofu your recipe calls for as the different textures have very different uses. But don’t overlook this low-calorie, budget-friendly protein alternative. Seitan has been used as a meat substitute in Asian cooking over a thousand years. It is essentially pure wheat gluten, made by taking wheat flour and rinsing off the starches and fibers to leave a protein-packed ingredient that is often used in veggie meat products. For anyone who isn’t gluten-sensitive, it’s a fun ingredient to try that can be cooked in a huge variety of ways. Like tofu, it tends to take on the flavors of whatever it is cooked in, making it an good blank canvas to incorporate into various dishes. Textured flavored protein, usually referred to as TVP, is little crumbles made from soy flour that is used similarly to how ground beef is used. That means you can use it for all kinds of things like “meat” sauce for pasta or vegetarian chili. It is dehydrated and sold dry, but mimics the texture of meat once cooked. TVP is very cheap, has a long shelf life, and packed with protein, so it is an excellent vegetarian meat substitute. Few protein ingredients, vegetarian or not, have the versatility that eggs do. Because kids tend to be very familiar with them, eggs are an eggs-ellent choice of vegetarian protein to use in family meals. Personally, we do recommend looking for eggs that come from free-range farms which provide organic feed to their chickens, as those eggs tend to taste fresher. If you’re pumped up on powder as the source of your protein, you can get your daily dose of protein by adding some of this to your meals. Don’t forget that most protein powders tend to have sweet flavors like vanilla bean or chocolate fudge, so they work best in smoothies, breakfast dishes, or desserts. You can also buy an unsweetened version to sprinkle or mix into a wider variety of dishes. A good vegetarian pantry should have versatile staples that allow you to create a wide array of healthy meals. Fresh vegetables naturally go great with most types of grains (hence the ever-popular Buddha bowls), so most vegetarians like to have a healthy stock of various grains available at home. Whole grains are actually pretty awesome for your body, since they provide fiber, protein, vitamins, and other nutrients. 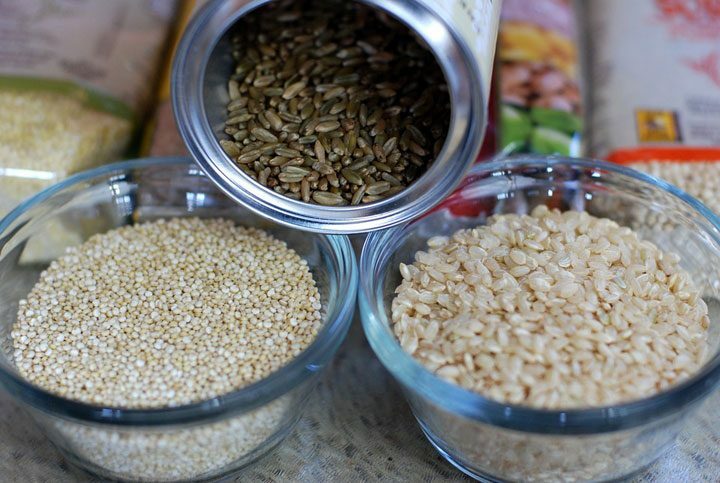 Places like Whole Foods and Trader Joes usually have grains available in their bulk section, so we recommend that you get a single portion of each and try a different whole grain each night to discover which ones you like most before committing to an entire bag. This product isn’t exclusively used by vegetarians, but we wanted to throw add it to our list because it has way more of a following amongst us meat-free eaters. Bragg’s Liquid Amino is like a toned down version of soy sauce, making it very useful for adding a punch of savoriness to your dishes. There are tons of good uses for it, but it works particularly well with grains, stir-fried or sauteed vegetables, and most Asian dishes. It is gluten-free, contains 16 naturally-occurring amino acids, and is easy to find, even on our favorite Amazon. Unlike the regular yeast used in baking, nutritional yeast is deactivated meaning it won’t froth or foam and can’t be used to make bread rise. Instead, it is used most often by vegans as a cheese substitute because of its cheese-like, creamy flavor. It lives up to the “nutritional” part of its name too, because it’s jam-packed with vitamin B12, is a complete protein, has iron, and is low in fat and sodium. You don’t only have to use it as a cheese alternative; some like to use it as a thickener, or just to add savory flavor the same way you might sprinkle Parmesan cheese onto soup, salad, or anything else you fancy. This has got to be one of the most underrated cooking ingredients around! Dried mushroom powder is basically mushrooms that have been dehydrated, then ground into a fine powder so that it can be used as a seasoning. This is a perfect solution for those who hate the texture of mushrooms but would still love to have that “meaty” flavor that mushrooms can bring to a dish. Mushroom powder adds a depth of flavor that is very difficult to match otherwise. We love to experiment with it and found that it goes perfectly in anything that mushrooms would work in: omelets, soups , gravy, salads, pastas, the list is endless. Seriously, do yourself a favor and get this stuff, k? In addition to getting new stuff for your pantry, you’ll also want to replace anything that isn’t vegetarian. 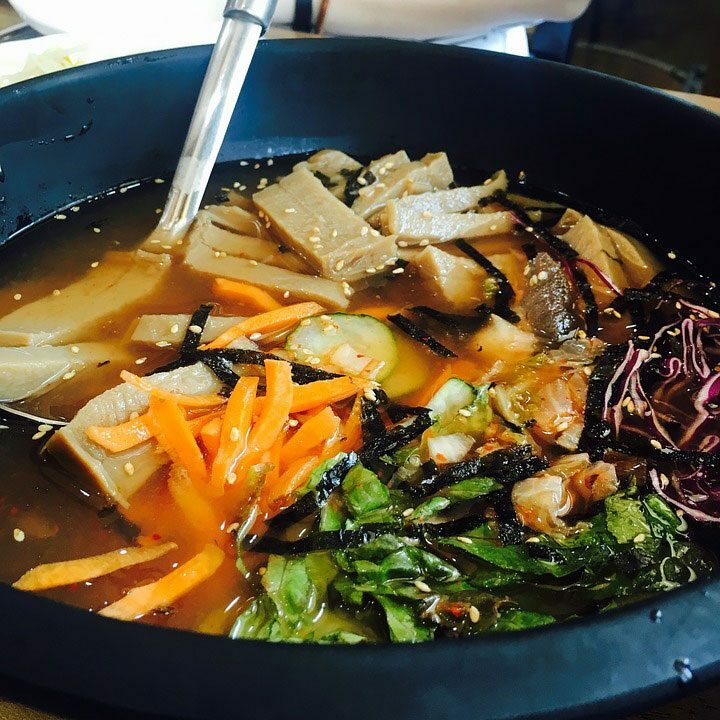 Vegetable stocks and broths are not hard to find at all; they usually sit side-by-side with the chicken and beef versions. Vegetable broth taste less…well, meaty, but ninety-nine percent of your dishes will taste fine when you make the swap. For dishes where you really want to preserve the chicken-broth flavor, like with chicken noodle soup for example, you can actually get no-chicken broth! 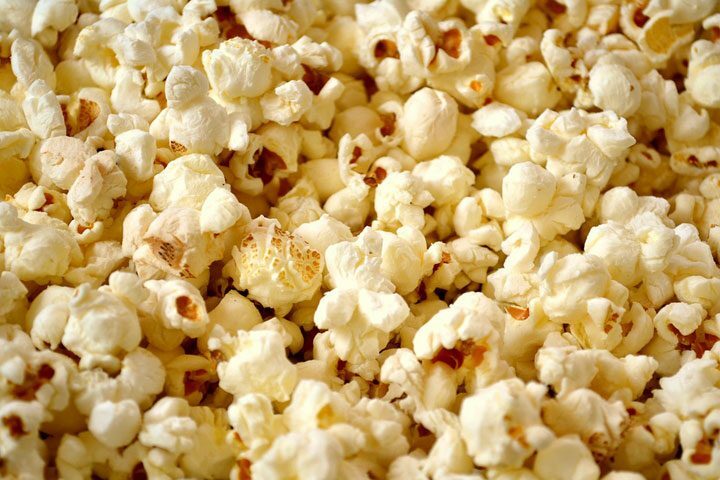 It has a shockingly similar texture and flavor that will blow your mind. Most stocks or broths have low sodium and regular versions. Our recommendation is that you get the low sodium version and just add salt to taste. This gives you more control over your sodium intake. Ok, most of the dairy stuff is kept in your fridge rather than the pantry, but you get the idea. 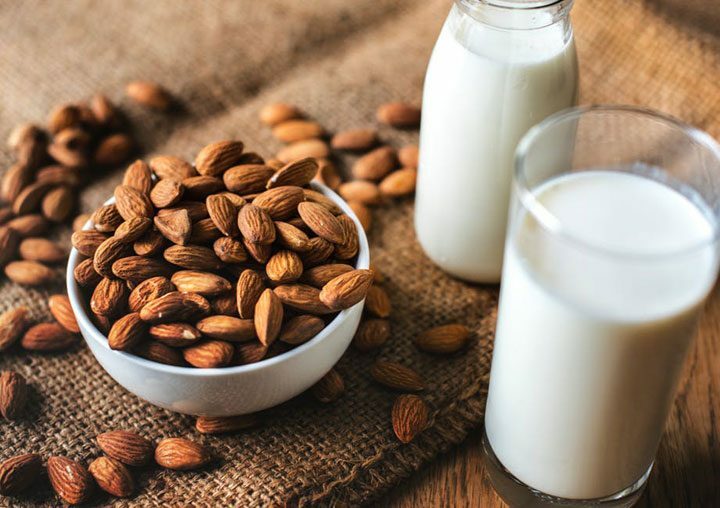 Milk is vegetarian, and there are lots of many other popular milk options to choose from if regular milk isn’t your thing. Also, non-dairy milks like soy milk and almond milk can even be bought in boxes that don’t require refrigeration, meaning you can buy them in bulk or online and save! Yogurt and Greek yogurt are great vegetarian sources of complete protein and can be used as a delicious garnish in many ethnic dishes. Yogurts also help you feel fuller, but you might want to avoid flavored versions as they tend to have lots of added sugar. Be sure to double-check that the yogurts you are buying don’t include gelatin, which is an animal product. Cheese can be tricky, because some types of cheese are made using animal-derived products like rennet or gelatin. We love this helpful online resource which helps you determine if the particular cheese you want to get is indeed vegetarian. 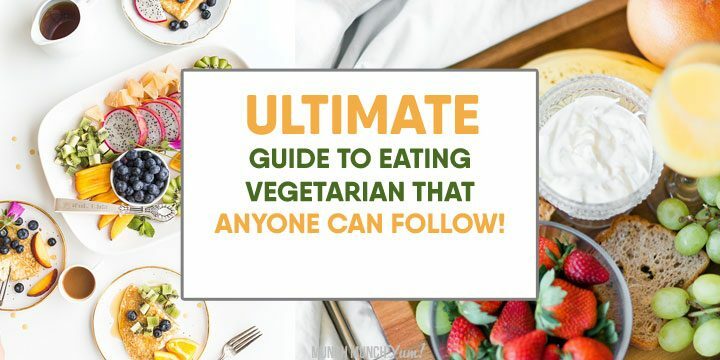 Vegetarians like to snack just as much as anyone else, so we included some suggestions here of fairly healthy, vegetarian options that you can pick up while you are at the grocery store. Just be sure that if you venture into sweet snacks, avoid anything made with gelatin. Thankfully, the veggie movement is strong enough that most grocery stores do carry a good majority of the items we featured above, including veggie meats! You can even find this stuff at places like Target or online through Amazon’s Prime Pantry. For an even wider selection, we’d recommend shopping at Whole Foods (discounts if you’re an Amazon Prime member!) or Trader Joes. An added benefit of these two places is that they have a huge bulk bin area. This is where you can get dried stuff (like grains & legumes) sold loose. As mentioned before, you can buy a small quantity of this stuff to try it out first to make sure you love it before you plunk down your hard-earned cashed for an entire bag. One option you should definitely consider: shopping in Chinatown! Not only will you save oodles of money on your fresh produce, but you’re likely to score some unique veggie meat products if you keep on the lookout for a brand called VeriSoy. It seems like this brand was targeting Asian Buddhist consumers, which is why we’ve only seen it in Chinatown or in Vietnamese grocery stores. Hint: get their chicken drumsticks and buy some sweet-sour sauce to go with it. Your kids will gobble this up, if you don’t first! 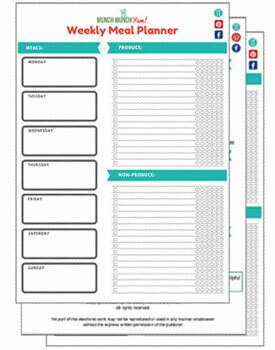 Depending on the brands you’re buying, your grocery bill can easily rack up. For those who grocery shop on a budget, we love this money-saving grocery app we love called iBotta. Find rebates, scan your receipts, and get rewarded with cash. Use our special link to sign up now to get a $10 welcome bonus. Get a $10 bonus and get rebates on your groceries by joining iBotta! 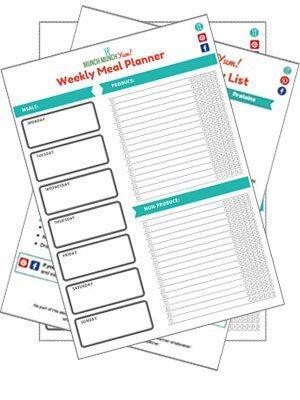 Now that you know what are the staples of a vegetarian diet, be sure to enter your name and email address under the printables image below for our free vegetarian shopping list to make stocking your vegetarian pantry easy peasy. 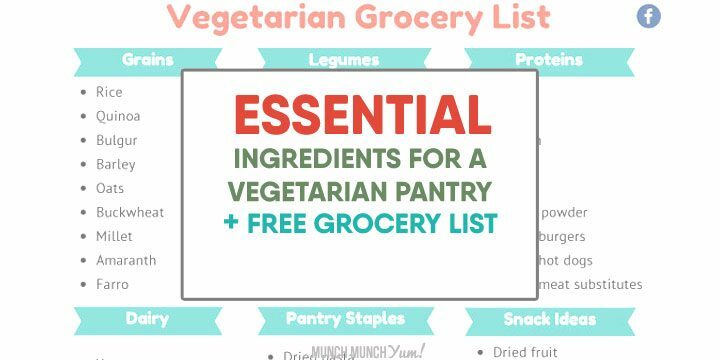 We’ve got all the essential vegetarian ingredients in one convenient printable vegetarian grocery list so you can get your veg on!